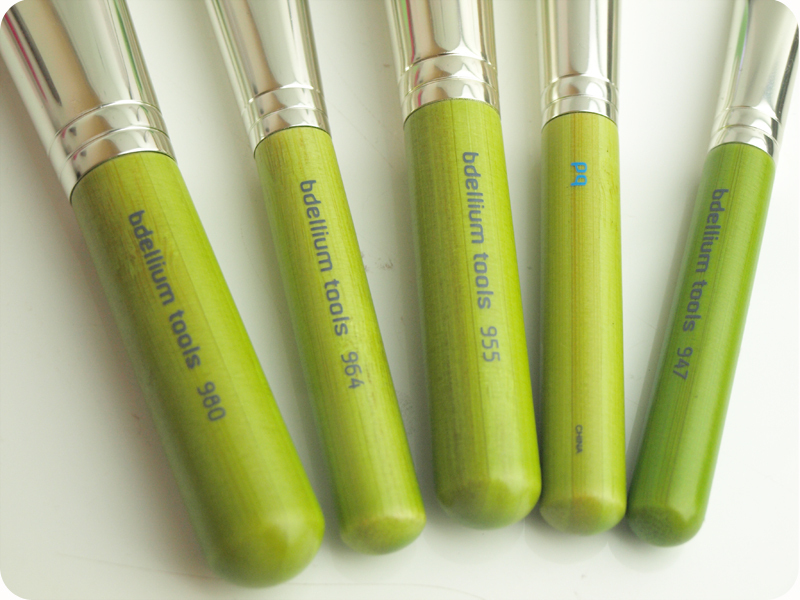 I have a slight obsession with make-up brushes and this Bdellium Tools set is the most recent addition to my collection. 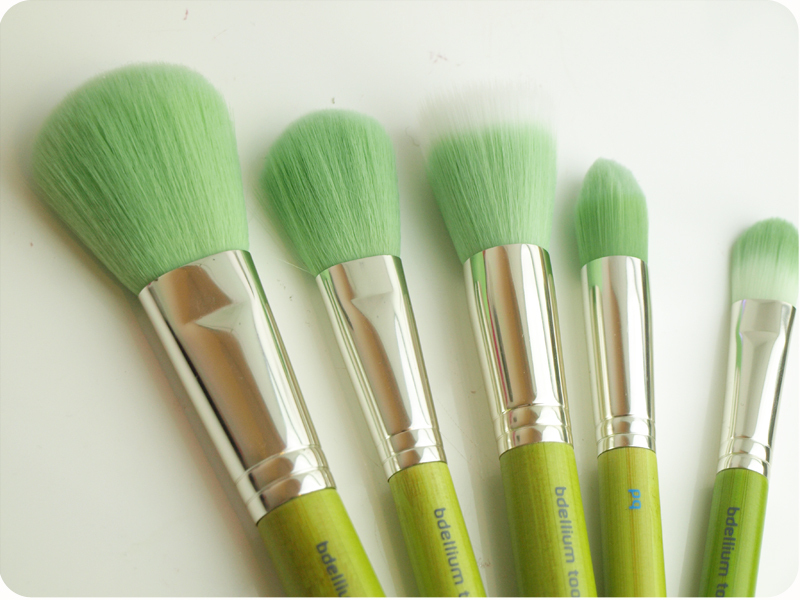 I am sure you've seen the green Bdellium brushes in the blogosphere already, but just so you know, you can also get them in yellow and black. 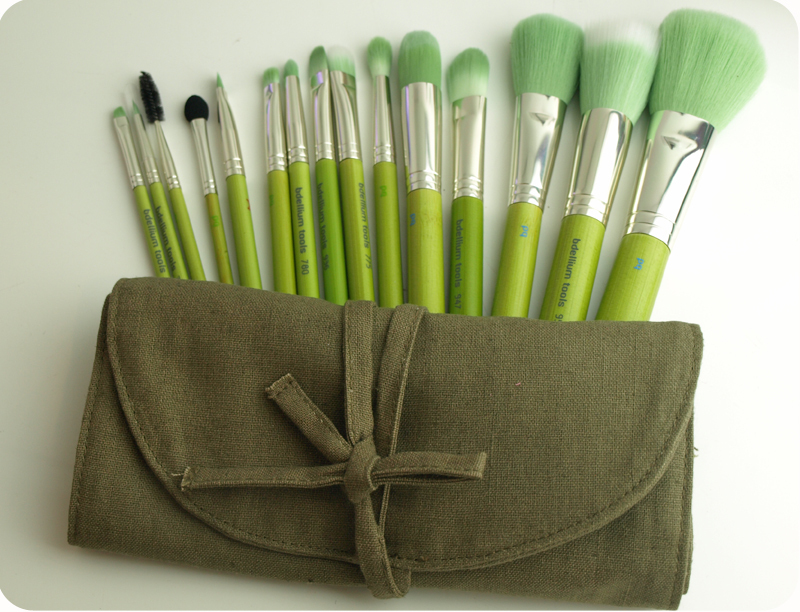 I absolutely adore this set and I think that Bdellium brushes are the most beautiful ones in my collection! 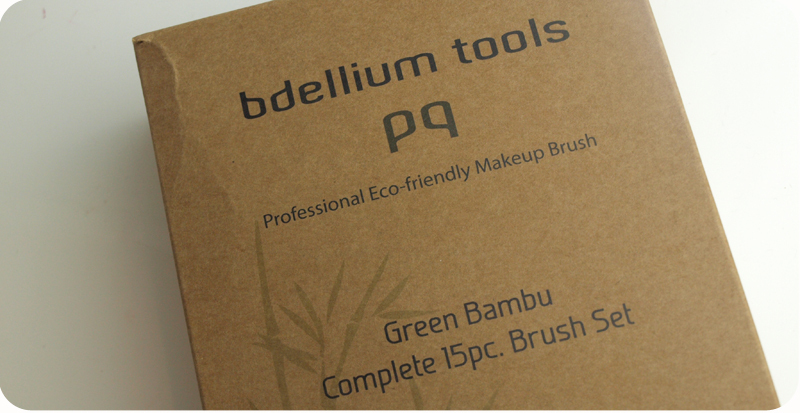 "Professional Eco Friendly Complete 15 Piece Makeup Brush Set from the Bdellium Tools Green Bambu Series. 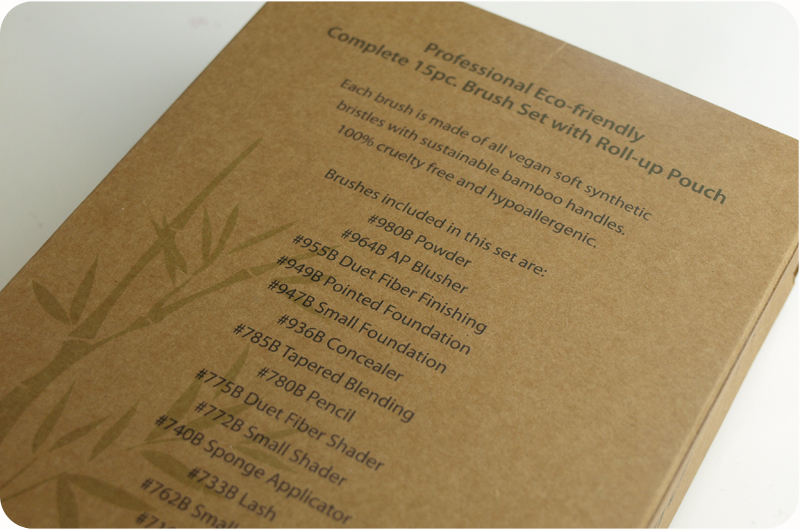 100% Cruelty Free, Vegan Friendly, Hypoallergenic Synthetic Bristles and Sustainable Bamboo Handles throughout." 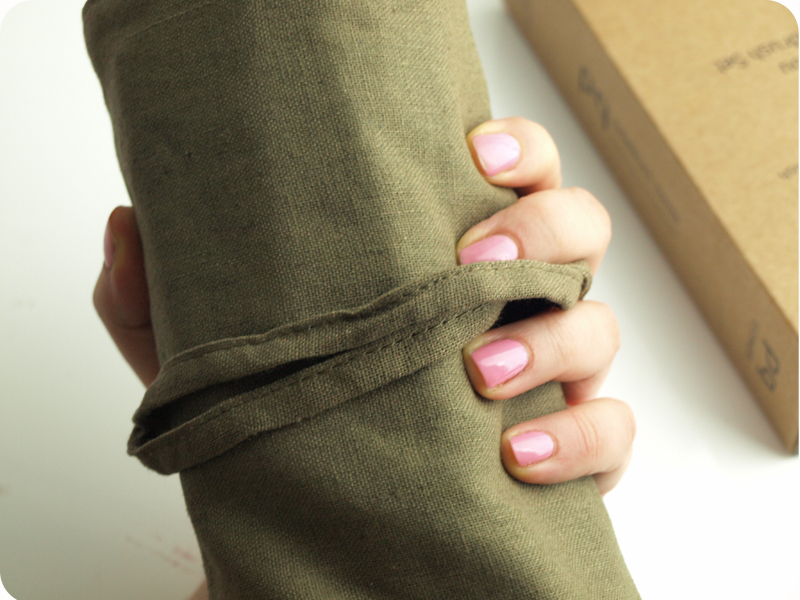 They are also easy to clean and dry in 4-5 hours. The set contains every single brush you will ever need to do makeup, although I would add a buffing brush, because I am addicted to my Real Techniques one :) My favourite brushes from the set are the 955B Duet Fiber Finishing Brush (perfect for applying and blending foundation), the 964B Blusher Brush (for blusher and bronzer) and the 762B Small Angle Brush (for filling in and shaping my eyebrows). 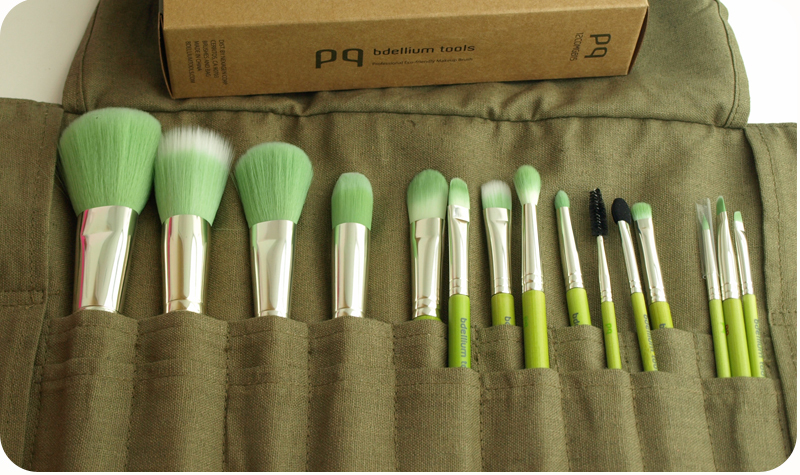 I have been using the brush set every single day since I got it and I love it! 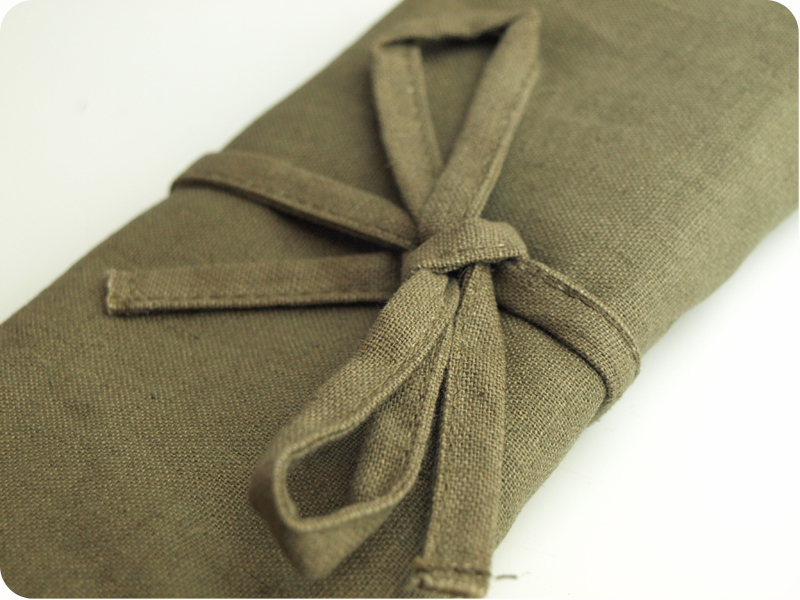 It comes with a roll up pouch which makes it perfect for travelling. 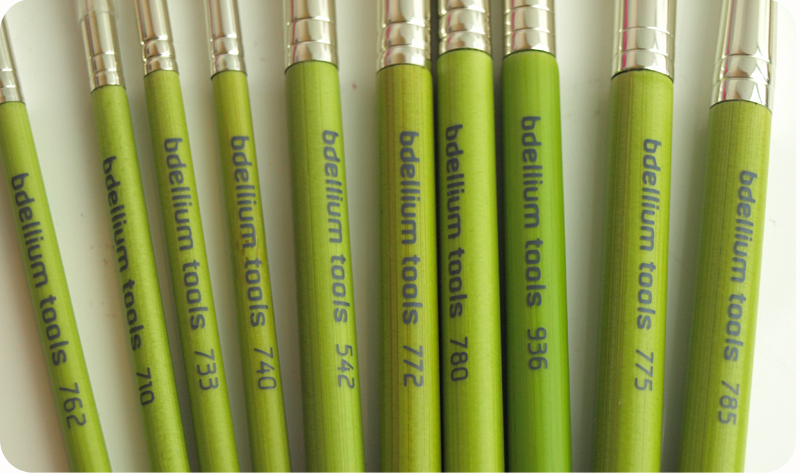 If you are looking for good quality set, or if you want to get good single brushes, I can highly recommend Bdellium Tools. 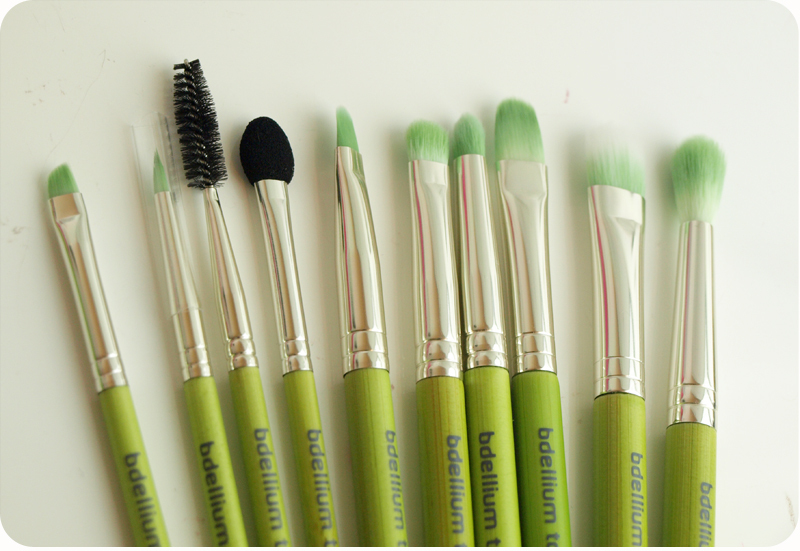 You can get Bdellium brushes from Beauty Chamber. They offer a wide selection of make-up, nail care and other beauty products with worldwide delivery. 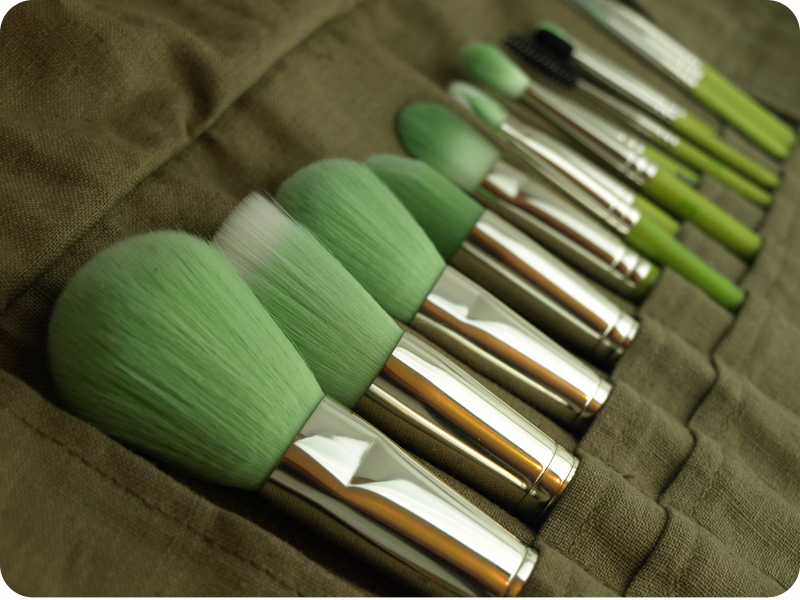 949B Pointed Foundation Brush-for precise application of foundation, concealer, contour and highlight. 936B Concealer Brush-concealer brush for eyes and face. 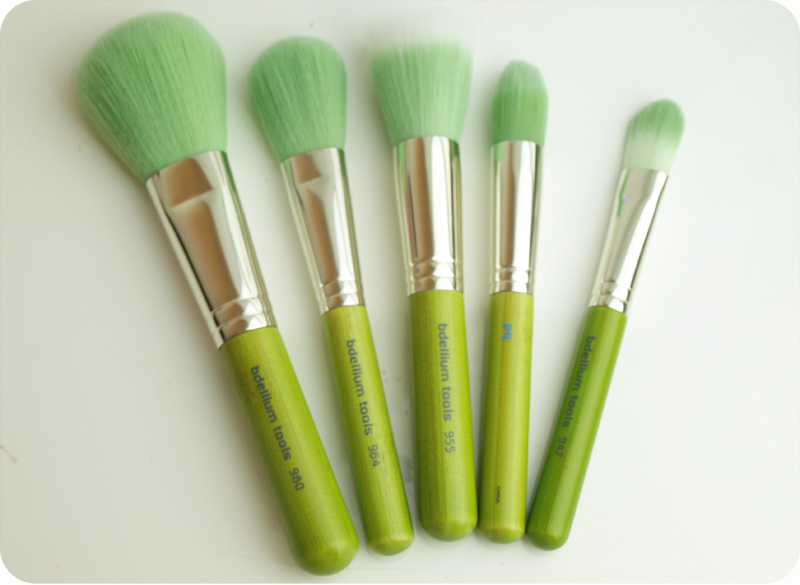 775B Duet Fiber Shader Brush-for applying the smallest amount of products like finishing powders. May also be used for brushing off excess product. 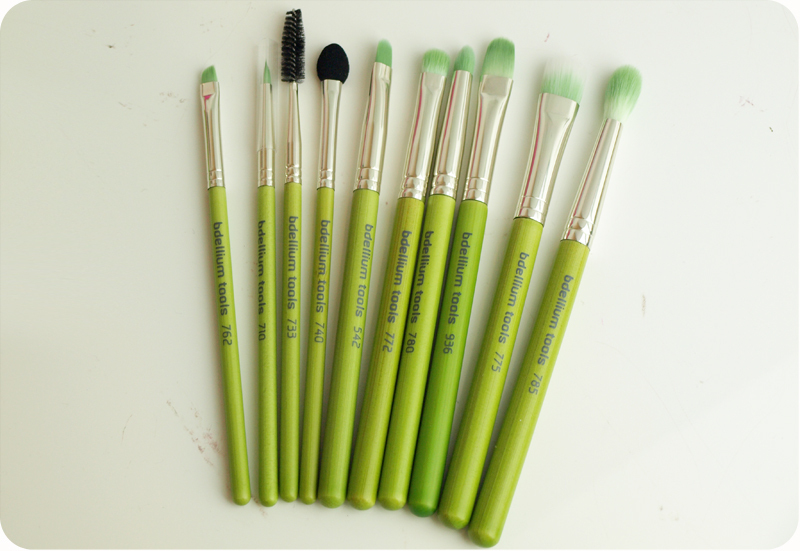 762B Small Angle Brush-for fine, detailed brow work, adding colour and filling in eyebrows. 542B Bold Lip Brush-A wider, firmer lip brush, making bold lips quick and easy.